WOW. Indescribable 7, 253 sqft. 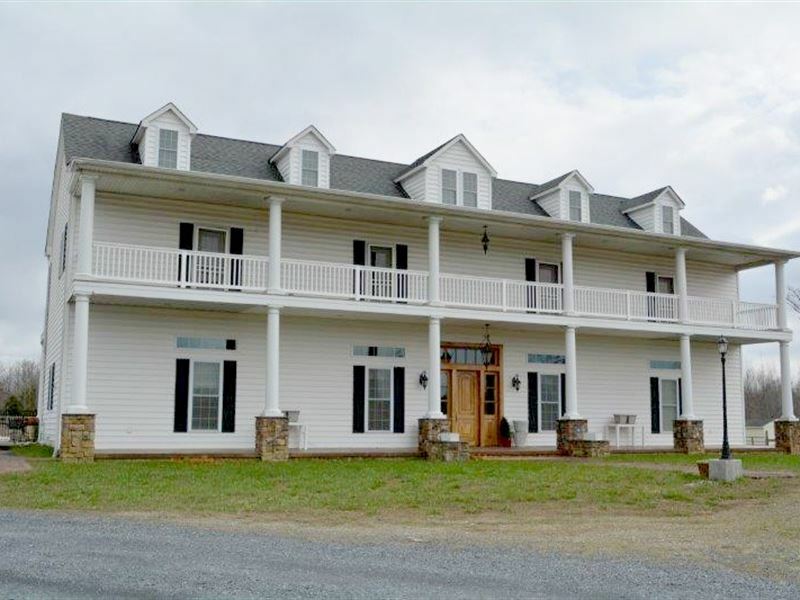 home with 6 bedrooms, 5 baths, full length porches and 12' ceilings just to name a few. The expansive kitchen has plenty of counterspace, 2 dishwashers, double oven and an island for prepping and serving all the family and friends that will gather here. The dining area is open to the kitchen and family rooms making entertaining or just watching the kids a breeze.Host game night in your 50'x29' game room or make it a pool party outside in the inground pool. This massive home would be an ideal bed and breakfast with a huge master/owners' suite on the main level and guest areas upstairs. On the 21.86 acres there is a basketball court, volleyball court, fencing and a 95' shed with horse stalls to offer something for everyone. Be the jewel of the neighborhood in this home.